USC made several significant coaching changes this offseason after a hugely disappointing 5-7 season. One was hiring former North Texas OC Graham Harrell and another was RB coach Mike Jinks. Both are very familiar with the “Air Raid” offense, what makes it tick and they also brought with them an attention to detail that seemed lacking at USC in 2018. 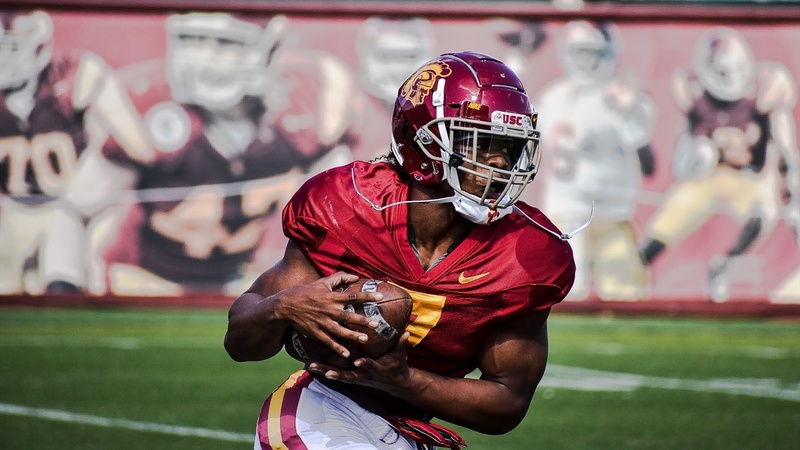 There were several challenges with Harrell and Jinks bringing an entirely new offensive scheme to USC, an offensive system that is perceived to be far different that what “Tailback U” has run since John McKay was head coach. To continue reading, you must be a Trojan Insider Premium subscriber. Never miss the latest news from Trojan Insider! Trojan Insider is an independent site and is not affiliated with University of Southern California. ©2019 SGS Publishing, LLC. All rights reserved.